Hide deals from seller "Smith Glass Co. "
Limit 1 per person and 1 per transaction. Valid on 1 hour of labor for custom glass installation and repair. Materials not included. Includes a 90-day warranty on all services. Promotional value expires 60 days after purchase. Improve your view with this deal for 50% off custom glass repair from Smith Glass Co., available within 25 miles of Chicago's Gresham neighborhood ($65 value). This deal includes one hour of labor on any glass repair or installation for your home or vehicle. Established 68 years ago, this family-owned business has been passed down for generations. 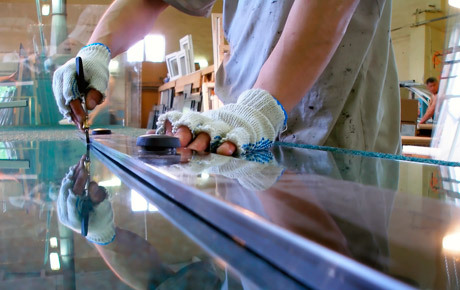 Smith Glass has ample experience and has a highly acclaimed reputation in the community for quality services. They provide services for mirrors, windshields and windows. Smith Glass is a family-oriented company that places an emphasis on customer satisfaction, and they even provide a 90-day warranty on all of their services. Keep your glass shining bright with this deal from Smith Glass Co.
Family-owned business in Chicago's Gresham neighborhood that offers home and auto glass installation.